This uplifting citrus lip balm has a truly unique skin feel that applies smooth and leaves lips soft and silky with a natural glow. The light tangerine scent will calm and relax, and is known to positively affect mood. The unique consistency of this balm applies so light & sheer, you will have (what seems like) a never-ending tube of goodness! Jojoba's unique fatty acid profile easily penetrates the skin and significantly softens the layers of skin below working to repair and bring flexibility to the skin - fantastic for lips! Shea butter has loads of naturally occurring Vitamin E acting as a natural anti-oxidant and softening agent for our skin. Shea is also know to reduce redness, irritation, and inflammation…such a unique ingredient that will keep your lips protected. Coconut oil to soften skin and reduce itching and inflammation common with wind chapped or sunburned skin. Only the highest quality virgin, raw, and cold processed coconut oil is used to ensure all these beneficial properties remain intact. 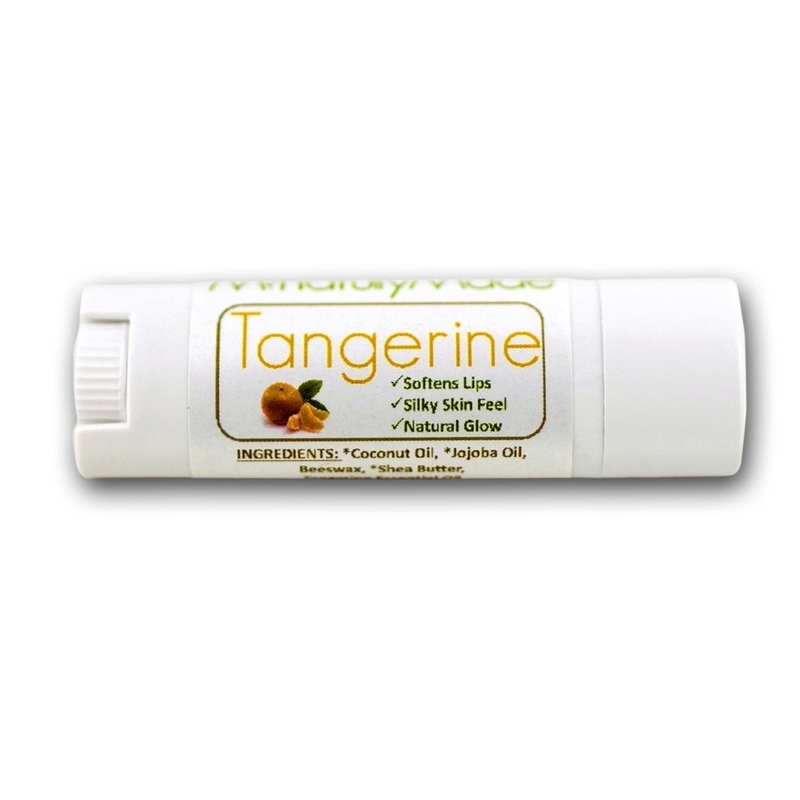 Tangerine Lip Balm is a year-round treat for your lips! “I love this lip balm. It’s definitely a one of a kind moisturizer. I am a frequent user of lip moisturizer, but this product is by far the best I have found. I carry one in my purse, keep one on my main floor, and one upstairs. It’s nice to know that it is healthy and all natural as well, especially with as frequently as I apply.” – Annie S.
“I just want you to know how much I love this balm! I never leave home without something on my lips and I am super critical of lip balms. I put this on and instantly loved it! I bought several for my kids and family members. Love this stuff!” – Jennifer O. “I love love love this lip balm!” – Mona R.